Hang on tight as you depart Circular Quay and speed directly out the heads and out into the open ocean. You will start by heading south, straight past the infamous ‘Gap’ on your way to Bondi Beach. Stop for a quick photo before heading out to sea for a couple of miles and back up the coast. Yeee-Haa. Jump onboard Sydney’s fastest commercial vessel. 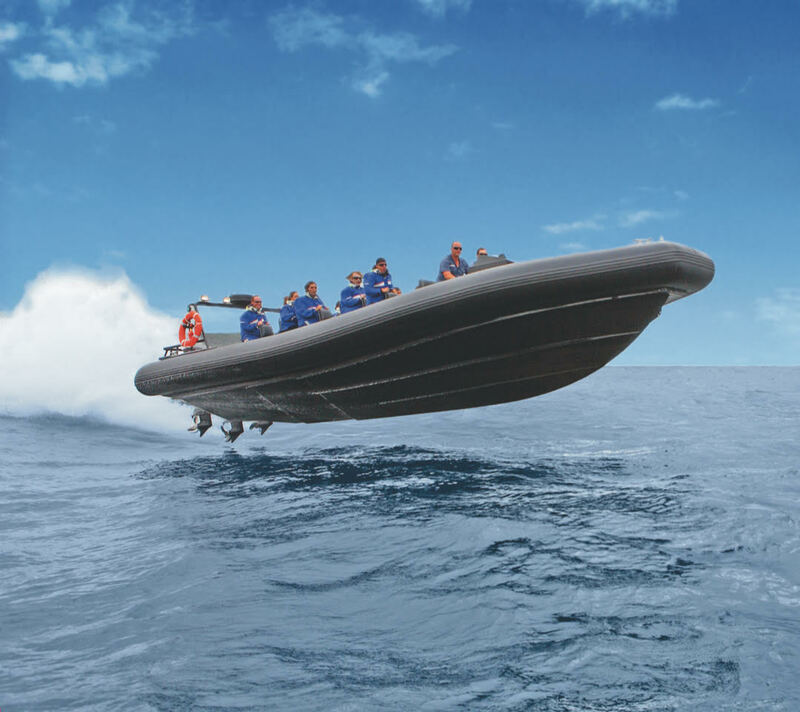 Ocean Extreme operates a 900 horsepower offshore RIB. 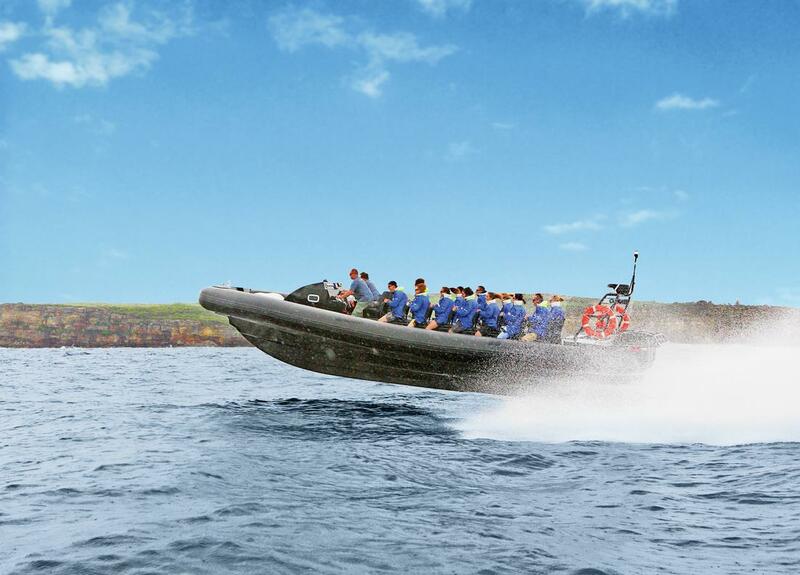 This is not a jet boat. We can travel faster than the jet boats and we are allow offshore while they have to stay in the harbour. We are the only offshore adventure company in Sydney operating on an unrestricted licence once we leave the heads. This is our most extreme experience that has been thrilling thousands of people for over a decade. Let us show you the world famous Bondi Beach like no one else can! After cruising past all of the beautiful landmarks that Sydney Harbour has to offer you reach the opening of the heads where we can hit the accelerator and start racing over the waves. First, you will ‘fly’ at high speed over to the ‘Gap’ for a close up view. From there, you will be taken south along the 5km of incredible Sydney coast line all the way down to one of the world’s most recognised beaches. After a long and sweeping turn, the vessel will pull in for a memorable photo opportunity you won’t get anywhere else – the water and sand being your backdrop. Only Ocean Extreme can take you there! Introduced in 2014, we are excited to announce that we are now offering an experience that takes you past every beach on the Northern Beaches, all the way around Barrenjoey Headland and into Pittwater. There you will disembark the vessel for an hour to do as you please. Whether you explore the beautiful Palm Beach or maybe have a bite to eat or coffee at the beautiful Boat House or perhaps you have brought your own picnic, it’s up to you. Then it’s back onboard for the equally incredible return journey 40 kilometres back to the city.